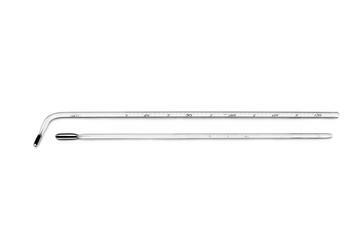 Clinical thermometer in wooden case, by Alfred Apps, 433 Strand, London, England. Thermometer, clinical, by H. J. Hills, 46 King Street, Borough, London, SE, England, 1848-1858, case wood, glass and mercury.